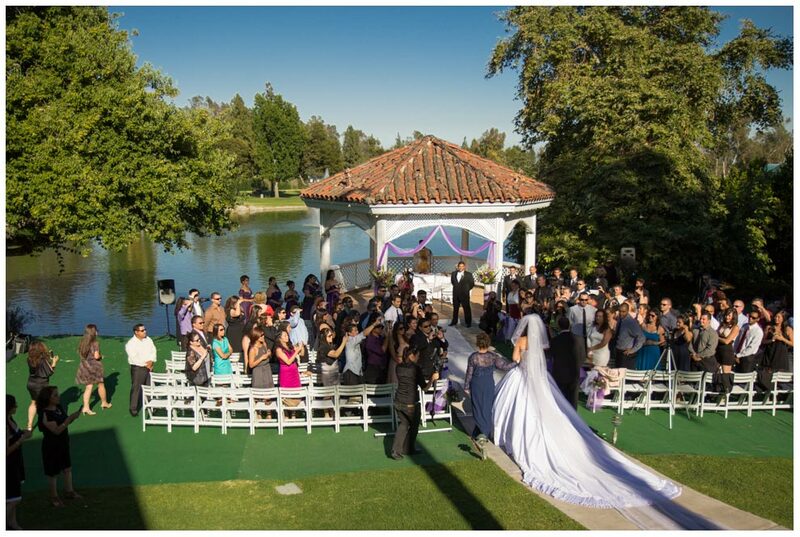 With our beautiful gazebo overlooking Alhambra Lake and golf course, your special moment can have the serenity and beauty of an outdoor ceremony, with the ease and convenience of an accompanying inside reception just steps away. Almansor Court offers brides the option to have their dream outdoor wedding lakeside, complete with enough room to seat 600 guests and full audio capabilities. The beautiful lake and lush landscape make for incredible photographs and our beautiful year round Southern California weather adds life and vitality to your ceremony.